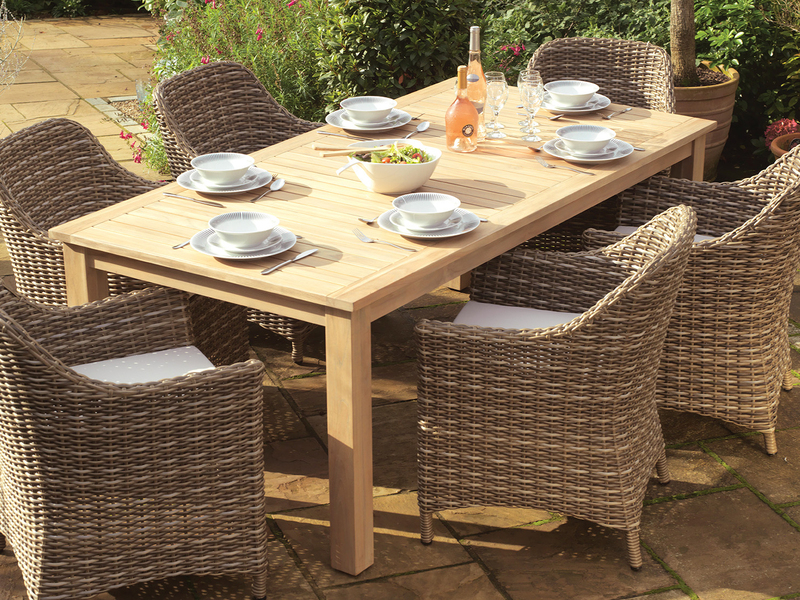 This range of contemporary teak tables with an Antique wash finish, are an ideal match for some of Daro's most popular Outdoor ranges. Pictured here with the Ardèche and Clermont ranges, this range is also ideally suited for use with the ever popular Auckland collection both for lounging and dining. Shown in Durban Canvas fabric.